PROSPECT — Members of the Prospect Historical Society are putting a historical twist on decking the halls. 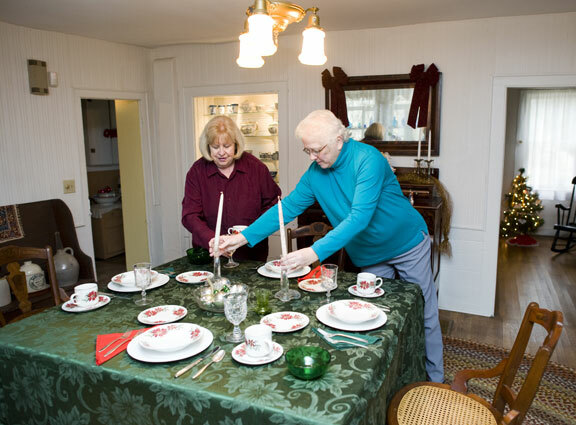 For three hours every Thursday since Nov. 1, they have been hanging ornaments, setting holiday-themed tables and decorating mantles inside the Hotchkiss House in preparation for the museum’s annual holiday tours. 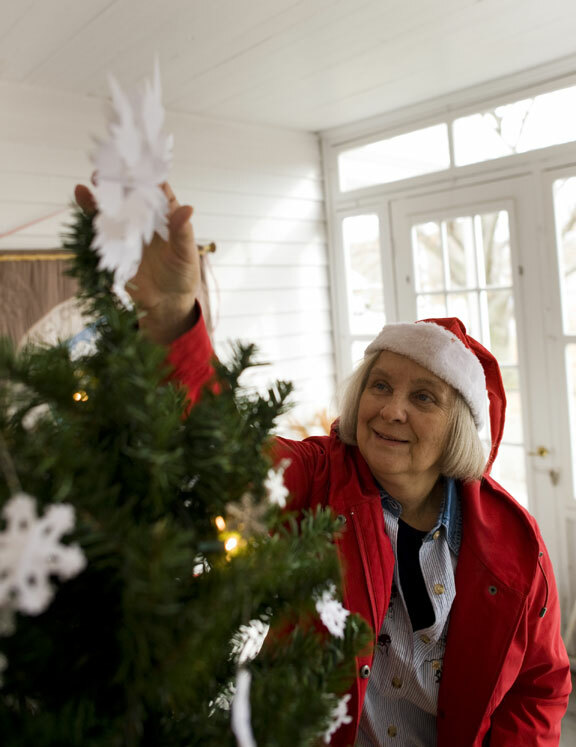 Nancy Via, president of the society, said most decorations are not original to the 200-year-old house; surviving relatives of the Hotchkiss family picked what they wanted to keep for themselves, and left behind what they didn’t want. Still, Via said, historical society members wanted to showcase the house’s 12 rooms in a special way for the holidays. Built in 1819, the house was owned by the Hotchkiss family for over 160 years and housed three generations of the family. It was built by Frederick Hotchkiss for his son, David Miles Hotchkiss, a town selectman, abolitionist and the man who gave Prospect its name. David Miles’s 10th child, David Bryant Hotchkiss, inherited the home upon his father’s death in 1878. Three of David Bryant’s children — his son, Treat, and two of his daughters, Ruth and Mabel — never married and lived in the house for their whole lives. While enjoying the holiday decorations, visitors will be able to see a collection of Civil War artifacts and a schoolroom where lessons were taught for David Miles’s boarding school, The Select Academy. Also on display is David Miles’s War of 1812 military uniform, a number of paintings and musical instruments, including a piano purchased at and shipped from the Chicago World’s Fair in 1893. New this year, the society will open the house for two weekends of holiday tours. Via said they hope to draw as many as 100 people between the two dates, which would match the crowd at the organization’s recent Vintage Fashion Show event. Tours will be held Saturday from 3 to 7 p.m. and Dec. 14 from 1 to 5 p.m. at the Hotchkiss House, 61 Waterbury Road. Via said she hopes that visitors will walk away from the tours with more than just the holiday spirit. More than anything, she said, it’s about helping residents learn about the town’s rich history.